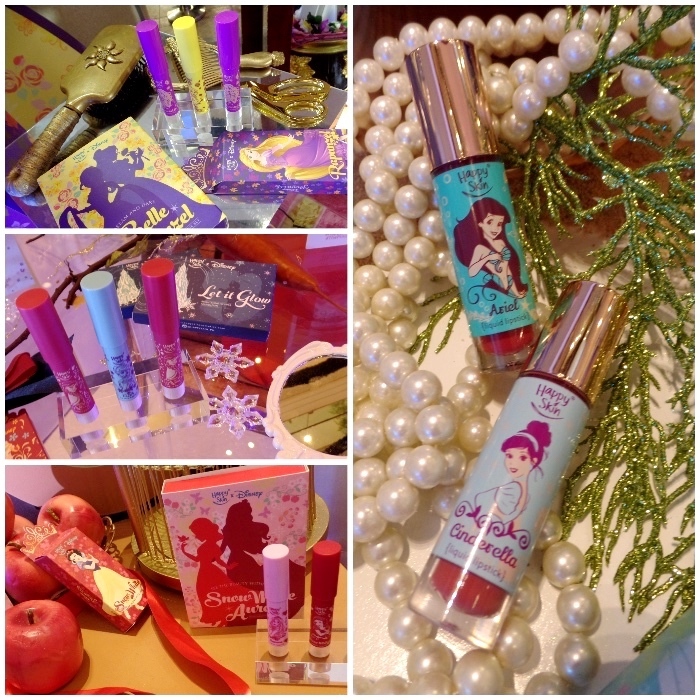 After numerous teasers, we're sold -- all we want for Christmas is everything from the limited edition Happy Skin x Disney Collection! 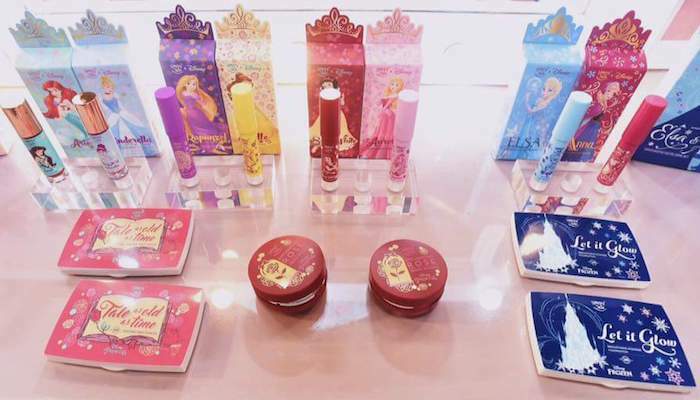 Apart from the lipsticks that we've seen all over the net last week, Happy Skin also introduced three new products: the Happy Skin x Disney Princess Enchanted Luminous Mesh Blush (in 2 shades: pink and peach) and Tale As Old As Time Brightening Powder Foundation (available in Soft Beige or Natural Beige), and Let It Glow Brightening Powder Foundation (also in Soft Beige or Natural Beige). 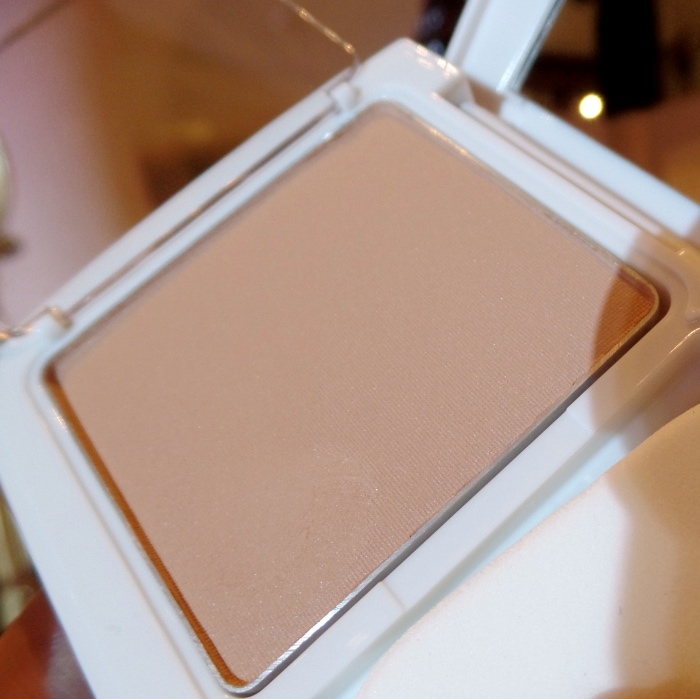 If you're on the lookout for a powder foundation that controls oil and diffuses imperfections for the perfect selfie, you have to try their Brightening Powder Foundation (above in Soft Beige). Similar to the Don't Get Mad, Get Even Hydrating Powder Foundation, it's also very light and fine in texture, has moisturizing Hyaluronic Acid, brightening Yoghurt Extract, and skin-protecting SPF 20 PA++. Until last week's event, I didn't know that there's more to this collection. Happy Skin has done multiple (and exciting) collabs in the past but nothing quite like this. 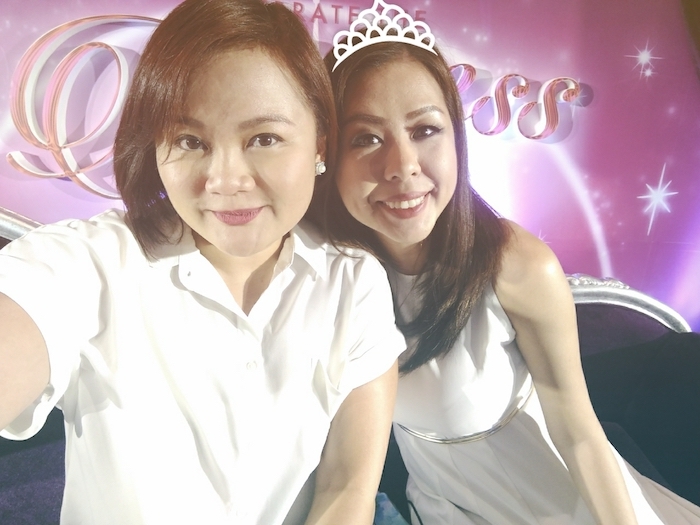 To inspire and empower more Filipinas, they've collaborated with local personalities who have succeeded in chased their dreams. 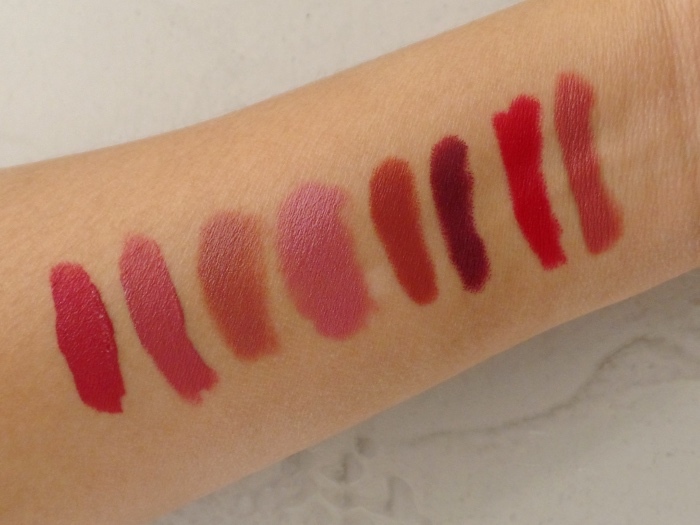 Each personality has a charity of their choice and every lipstick purchase enables Happy Skin to make a donation towards the cause. 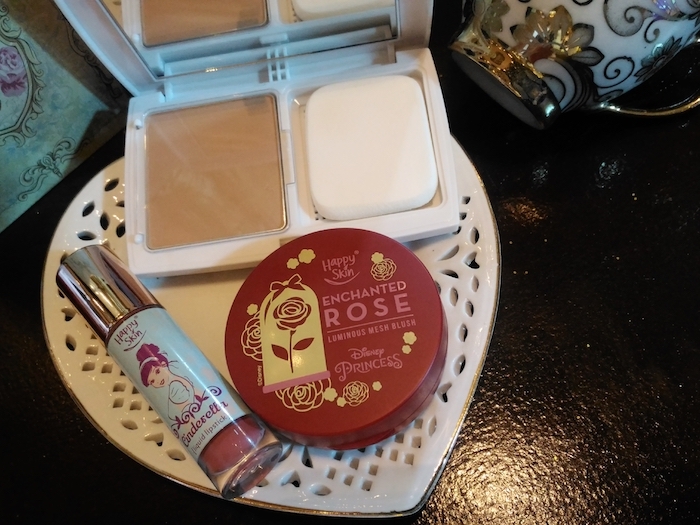 To complete your Happy Skin x Disney look of the day, checkout the pieces Heyjow came up with. Each piece has a pendant that "symbolizes an admirable trait, which is hopefully brought out from the wearer". A symbol for love and passion, a blooming rose also expresses innocence, admiration, friendship, joy, and enchantment. Uncover your hidden royalty and nobility with a purple amethyst. A healing stone, the amethyst also enhances creativity and strengthens the imagination. The heart represents the center of emotion. A full heart expresses affection, love, and compassion, and unveils kindness to all. The gentle pink color of a rose quartz evokes feminine energy. This stone awakens unconditional love and also heals the wounds of the heart, dissolving sorrows, worries, and fears. An aquamarine bezel-set gemstone speaks of quiet elegance and refinement. The mesmerizing blue color also inspires courage to be peaceful and kind. Playful mermaid tail and starfish charms evoke fun and exploration, telling of life waiting to be discovered under the sea. A charming symbol of winter and of the holidays, the snowflake's delicate feathery quality evokes purity. A white druzy stone is believed to help in melting away blocked energy, allowing the wearer to find her own inner light. Happy Skin stores are located at 2/F Glorietta 3, 2/F Greenbelt 5, 2/F Power Plant Mall, 2/F Mega Fashion Hall, 2/F Robinsons Magnolia, 2/F Eastwood Mall, 1/F UP Town Center, and 1/F Trinoma. New stores are opening soon in SM Cebu and SM Clark.